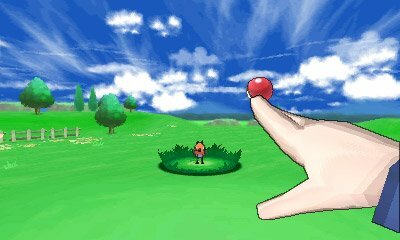 A new type of battle is introduced within Pokémon X & Y, the Sky Battle. 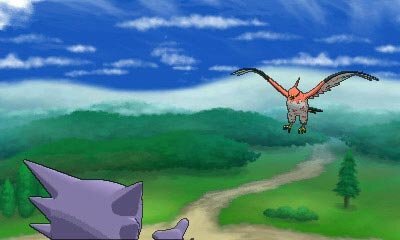 These battles can only be participated in with Pokémon of the Flying-type, or those who have the ability Levitate and allow for battles completely in the air. 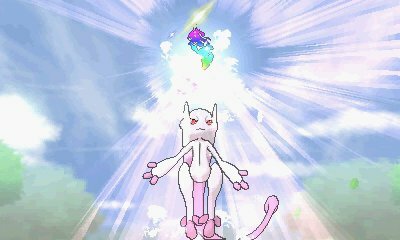 A brand new feature of the Pokémon X & Y games are Mega Evolutions. These are special features of Pokémon, different to evolutions and forms, that have your Pokémon Mega Evolve in battle into these appearances. Their abilities, stats and sometimes even types are different. To get a Pokémon to Mega Evolve, they need to be holding a special Mega Stone item unique to their species, as well as receiving the Mega Ring and the Key Stone. 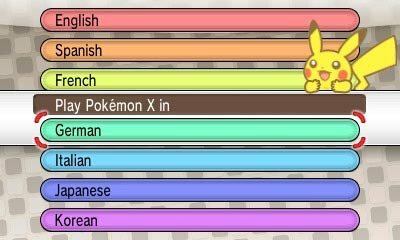 To get your Pokémon to Mega Evolve, you can select a button when picking the move and then select a move. 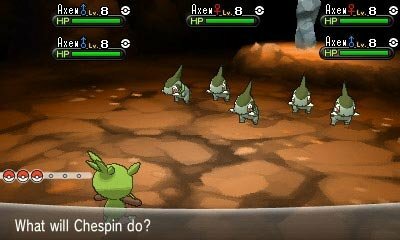 The Pokémon will both evolve and attack in that turn. You may only have one Mega Evolution in a battle. Pokémon originating from Kalos region do not receive a Mega Evolution. Click here for a list of Mega Evolutions. 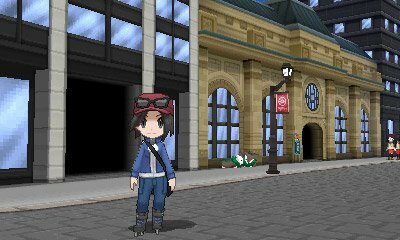 One of the first new mechanics for people to notice is that you can ride Pokémon in certain areas. 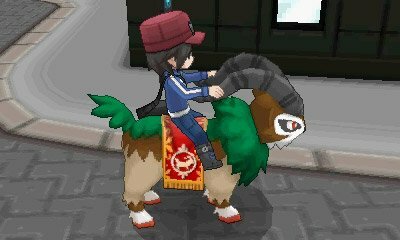 At the moment, it's only known that you can ride Gogoat within Lumiose City, Skiddo in various fields and Rhyhorn in a mountainous area. Previously, the wild Pokémon have always been limited to tall grass which house a variety of Pokémon determined by the location, with Black & White introducing darker grass which houses different, stronger, Pokémon than normally in the route. 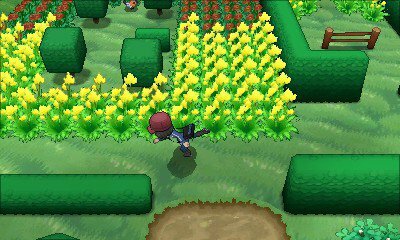 Pokémon X & Y takes this even further and introduces a new feature where the Pokémon you find in the wild vary depending upon the flowers that surround the grass. This allows for many more Pokémon to be found in each route. Another thing seen previous is the inclusion of Rollerblades. These items seem to allow for faster travel in areas, and are attached to the shoes of the trainer. They don't replace the bike, but offer an alternative and allow you to do tricks. 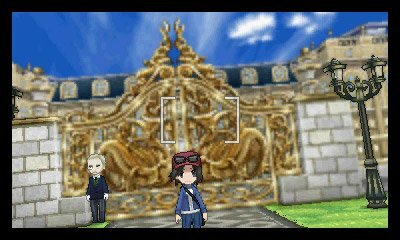 The Shalour City Gym's puzzle requires it. When you first select your character, and select a gender, you have the ability to choose between three different presets. These alter the character's hair and skin tone to be more personalised to your own appearance. 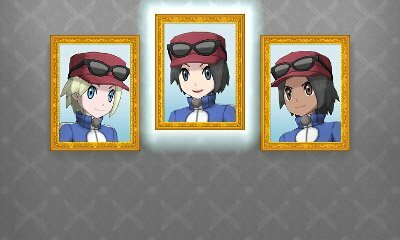 That's not all, however, as you have the ability to later get various bits of clothing and accessories throughout the Kalos region. You can then return home and change your appearance at any time. 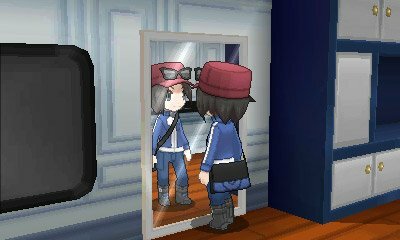 We'll be providing a list of all the items of clothing as the game is released. Unlike previous games, these games will allow you to select the language on the cartridge rather than based upon where you purchased the game. Languages are English, French, Italian, German, Spanish, Japanese, or Korean. 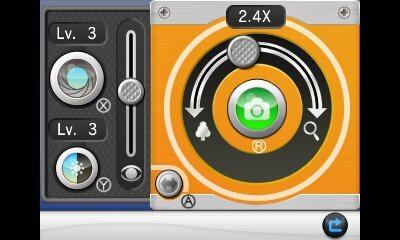 The Player Search System is the evolution of the C-Gear and allows for you to interact with various players through local wireless or over the Nintendo WiFi Connection. There are three levels of interactivity, Pass By which is for those you just walk by, Acquaintances which are those you interact with and Friends. 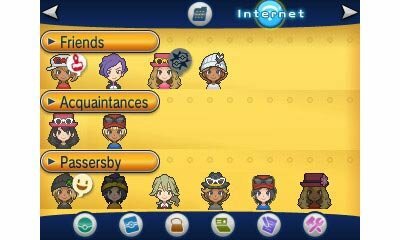 Friends are determined from your 3DS friend list, and you're prompted after multiple interactions with the same acquaintance. You can have 100 friends.